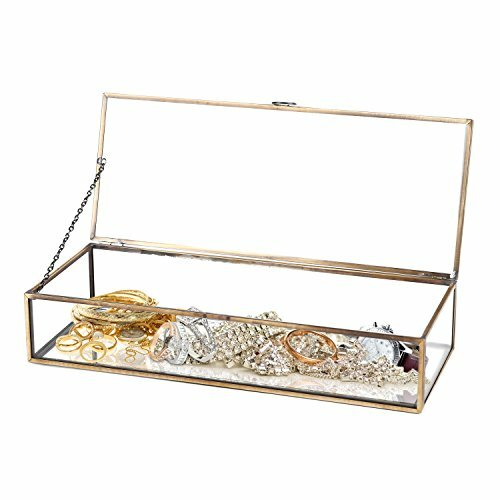 Featuring soldered brass accents and sleek glass walls, this is the perfect display box for a variety of needs. 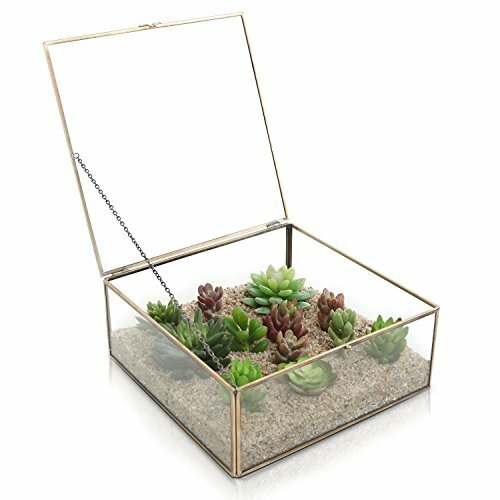 Place plants in this box to transform it into a terrarium. Store jewelry in it to make it an accessory display. Keep candles in it to make it a tealight holder. 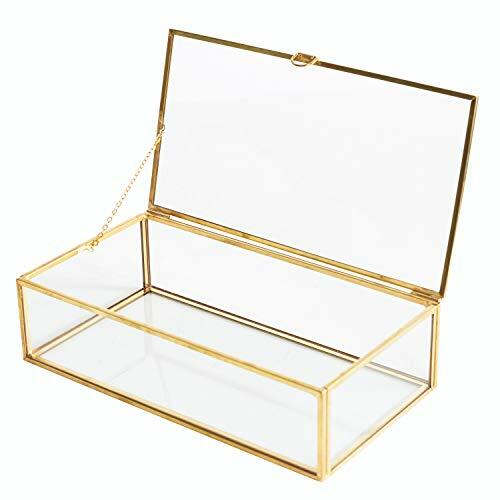 Whatever your desire, fulfill it with this uniquely functional and stylish display box, perfect for any tabletop surface. **Official MyGift product includes decorative box only. Other items pictured not included. 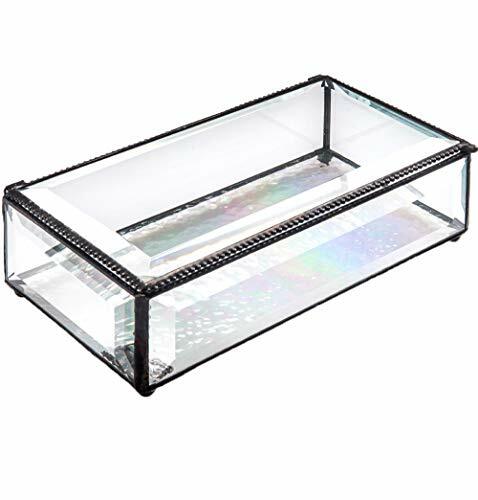 **Approximate Dimensions (in inches): 9 H X 5.75 D.
Enrich your interior style with this beautiful and sophisticated glass box. 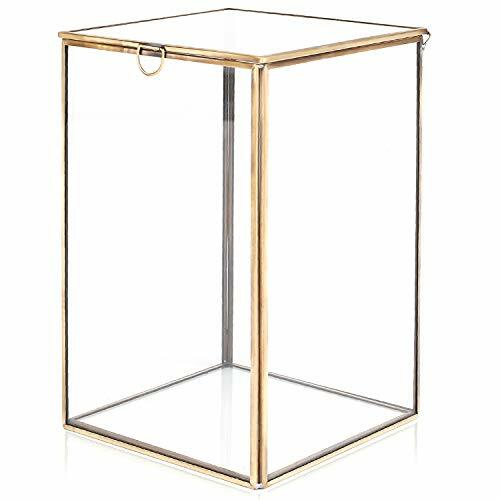 Thanks to a vintage-style brass frame and clear glass walls, this box perfectly blends the old with the new. Use the locking clasp keeps the top firmly closed and to open the hinged top lid as needed to view and access the items inside. 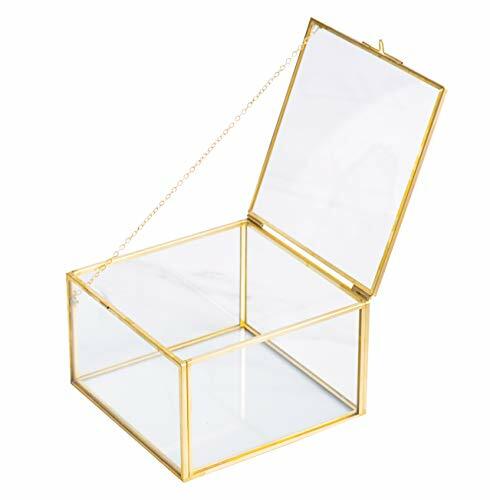 Fill this posh box with everything from small plants to jewelry to decorative, and you'll have the perfect showcase and storage space for your items. 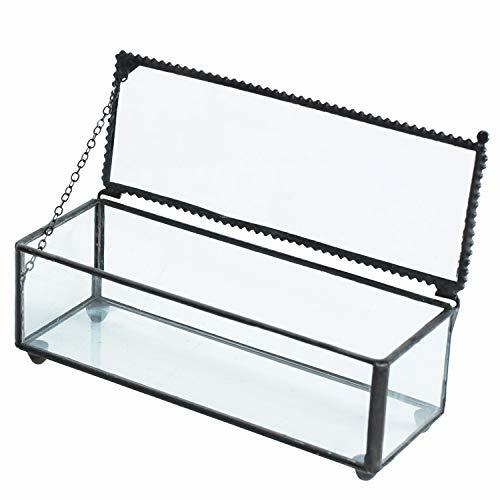 Whether you give this box as a charming gift or keep it for yourself, this beautiful glass case makes a lovely decorative accent for any space. **Official MyGift product. 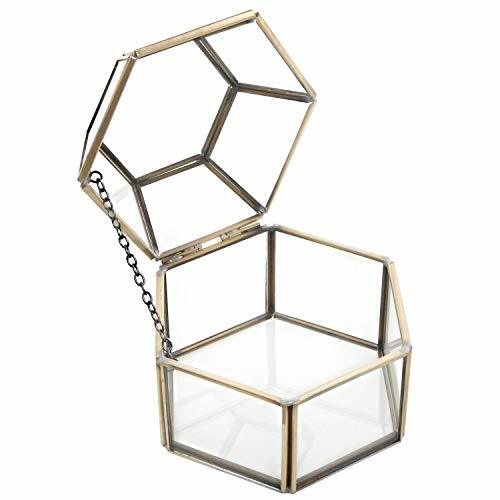 **Approximate Dimensions (in inches): 9.75 W X 4 H X 9.75 D.
Elegance and a touch sparkle can brighten up any space, and you'll get both when you make this beautiful glass terrarium a part of your home. 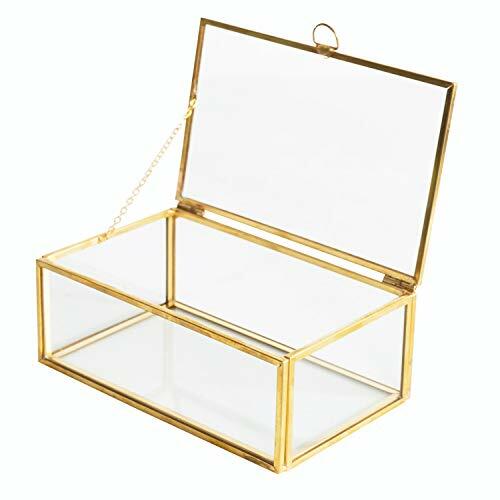 The clear glass panels catch the light and bring an eye-catching shimmer to any space, while the brass metal frame gives this decorative box a sturdy structure. 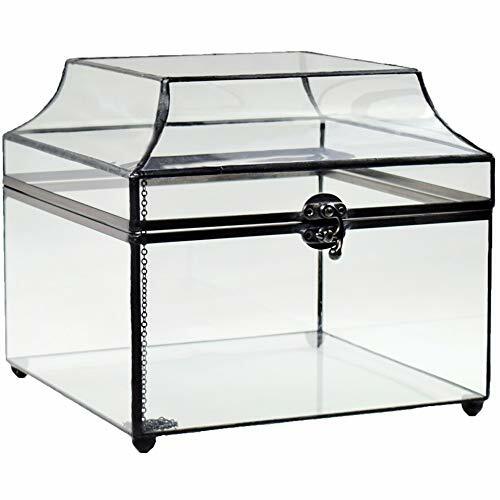 Just lift the hinged top lid and fill this elegant glass box with small potted plants or eye-catching decorative items to create the perfect centerpiece or decorative accent for any space. **Official MyGift product. **Approximate Dimensions (in inches): 4.75 W X 3.25 H X 4 D.